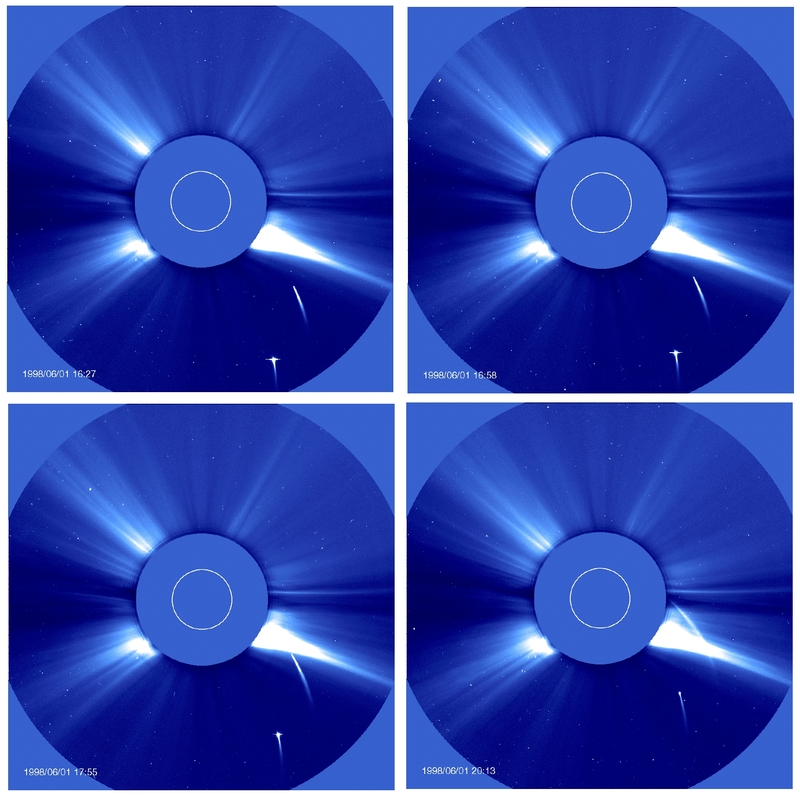 Series of LASCO C3 images showing two comets approaching the Sun. The time period covers about 4 hours. 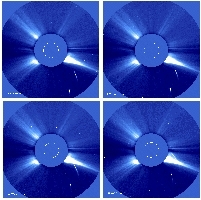 They do not reappear on the other side.